Fancy a Country Christmas Cracker? We are delighted to announce that we have joined forces with UK based Thoroughbredmusic to release a fun seasonal single in time for the festive season. 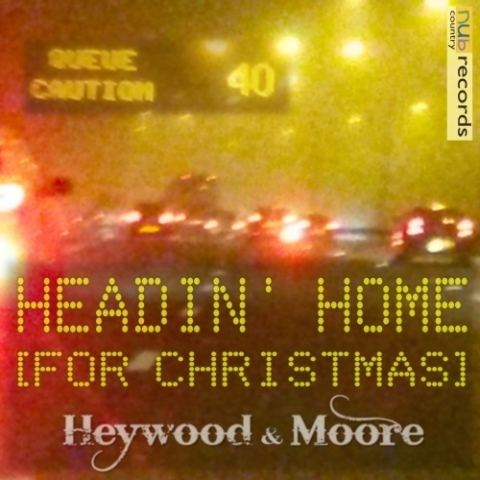 Headin’ Home (for Christmas) takes a light-hearted look at the migration of the population from one end of the country to the other on Christmas Eve. It has been described as an ‘up tempo foot-tapper’ and ‘something that put a smile on your face’ which is undoubtedly our USP! Or get relax and enjoy the whacky antics of the video as the band try and find the perfect Christmas Cracker! Heywood & Moore at the Mill Hill Summer Festival!